School Radio, an initiative of Digital School is promoting Human Rights Education in schools and colleges in India. Most have never heard of the 1948 Universal Declaration of Human Rights, and almost none can name more than a few of their 30 rights – if they even know what human rights are. Yet the protection of individual rights is vital to the stability of nations and the survival of our culture. Education is the solution. School Radio, an initiative of Digital School is promoting Human Rights Education. School Radio is an online Radio for schools, colleges and universities and a tool to interact, share, communicate and network and enhance the life skills of students. This is a unique concept, developed by Digital School. Youth, below thirty years of age group, occupy above 50% of the total population of the globe. Youth occupy 27.5% (15-29 age group-as per 'India youth policy-2014') and 10-35 age group occupy 56.3 crores in India. But, we are neglecting their voices. School Radio is promoting a platform for children and youth to create, enhance and share their voices with the world. It promotes communication and public speaking skills, and team building among them while creating content. The process enhances their abilities, presentation skills, and confidence. School Radio, brings out the talent of children and youth. Children and Youth can participate in School Radio programmes, all over the year, by reciting poems, songs, narrating folk tales, stories, talks and debates. School Radio provides an opportunity for children and youth to showcase their awareness, skills, knowledge and creativity to the world. 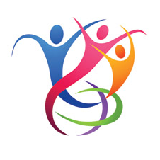 Children and youth learn to work as a team in developing, learning, creating and sharing programmes. Through School Radio, children and youth build their capacities in coordination and cooperation of successful broadcasting the programmes. School Radio conducts 3 day training programs in schools and colleges on Radio Production. In these programs students learn to identify suitable themes and topics, develop content for Radio, voice modulation, storytelling and also record their voice. They also learn the technical part of voice recording and audio editing. 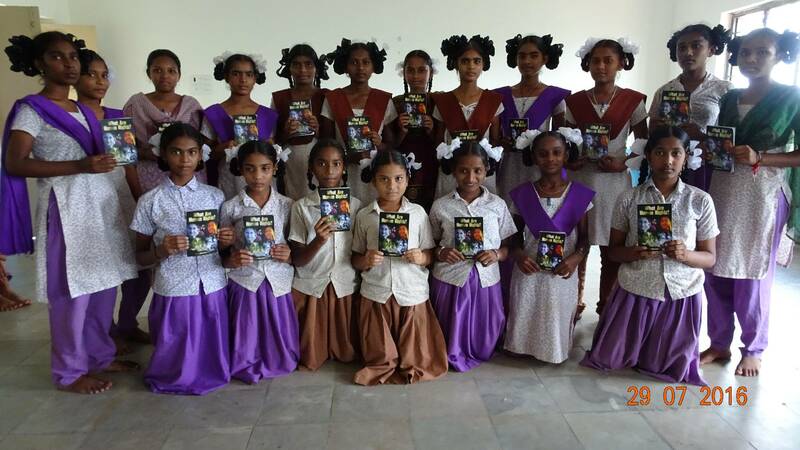 Vikasa Dhatri, an ePublishing House, supports School Radio in developing the content on Education, Environment, Human Rights, Child Rights, Sustainable Development, Gender and other issues and facilitates finding solutions by students in their school, neighbourhood and colony to facilitate change. In the process of Radio production, the youth and children become conscious of social issues and become responsible citizens. School Radio Clubs are formed in schools with 10 members each. Any number of Clubs can be formed in a school. Generally 10 to 15 School Radio Clubs function in each school. These clubs develop Radio Programs on a regular basis. 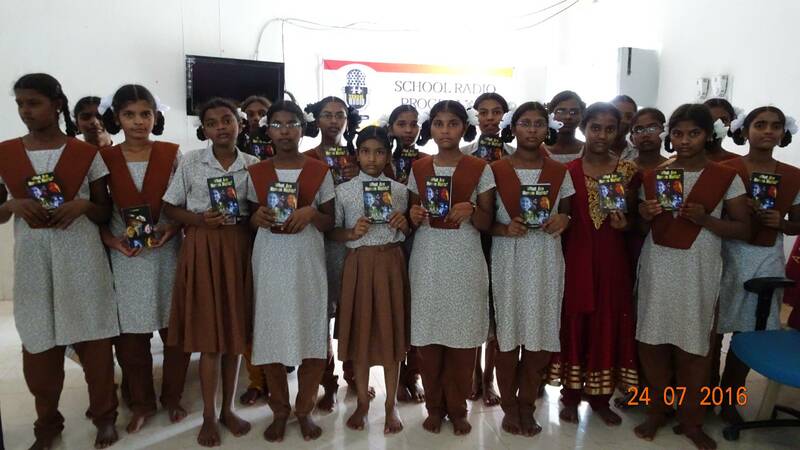 The books published by School radio, Digital School, Vikasa Dhatri on various social issues are distributed to these clubs at the time of workshops or training programs. ‘What are Human Rights?’ booklets were also given to these School Radio Clubs. Students use these books as reference to develop the content for Radio Programs during the workshops. 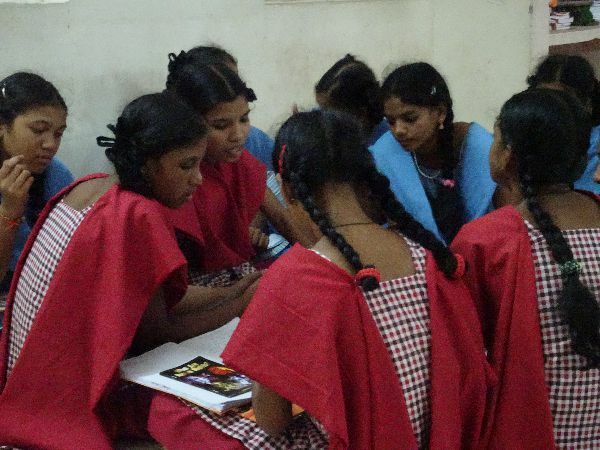 In the process they learn about social issues and also suggest the feasible solutions to tackle the issue. Choose the path less travelled by! Vikasa Dhatri has been developing and offering Telugu eBooks for free downloads since 2005. So far offered more than 350 books. School Radio is an online Radio for youth and children. It provides an opportunity to showcase their skills, knowledge and creativity to the world. Digital School facilitates workshops on Environment Education, Consumer Protection, Gender, Education for Sustainable Development.